Left speechless… | Holly's Footprint..
Well, I just got back from the concert for Holly at Hope Valley College and I’m kind of wrecked. I thought it might be a difficult evening but I really wanted to be there because I’m sure that that is what Holly would have wanted too. It got off to a fitting start with the dance routine that Holly had helped choreograph with the (then) year 7s – and I had just seen the segued music track that I worked on with her for that project this morning in my iTunes folder. Holly was so proud of the work she did there and especially of the t-shirt she was given for doing it, so it was good to see it performed. All the musical acts were great. 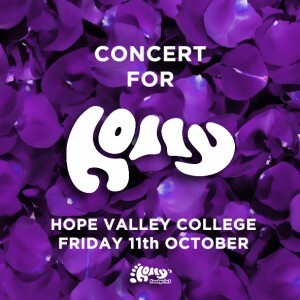 There is such a lot of talent at HVC (there always seems to be) and it seems unfair to single any of them out but I do have to say that when Laura Lowe sang the song she wrote for Holly… well, you just floored me girl! It was simply beautiful. So a massive thank you to all of Holly’s friends, the staff at HVC and all the parents involved in making tonight’s event so special. And beyond that you’ve all managed to raise a lot of money for Holly’s Footprint. We’ll announce that when we get a firm figure. 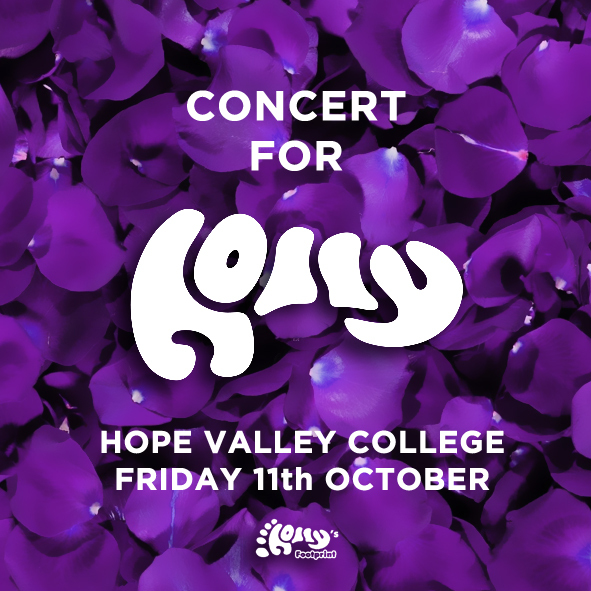 Just read your wonderful comments about the concert and thought that I would write a little in support of Holly’s great cause. I have recently started working as a mid-day supervisor at Peak School and I must say, it is a wonderful school. Every Wednesday lunchtime, Paul the music man, comes over for 30 minutes or so. The group love to take part, discussing feelings, hopes, the weather etc etc in a lively and engaging way. This is just a tiny glimpse of how music supports the progress of the students at Peak School. Thank you for what you do. I am sure that ‘Holly’s Footprint’ will make a difference. Ps.. my daughter and her friends were at Holly’s concert last. There was such a “buzz” when I dropped them off at HVC. She came back with many more memories of her final year at HVC. The concert, she said, was brilliant.